The Country Music Hall of Fame and Museum celebrated the grand opening of the Chet Atkins: Certified Guitar Player exhibit on Wednesday night with a private reception. Approximately 200 guests, including Fred Gretsch, Atkins’ daughter Merle Russell, Duane Eddy and James Burton, were warmly greeted by museum director Kyle Young. The evening included memorable musical performances by award-winning thumbpicker Ben Hall and world-class guitar-slinger Steve Wariner, who received official “C.G.P.” status even from Atkins in 1997. Gretsch Company president Fred Gretsch also addressed the crowd, sharing details of Atkins’ history with their guitar company. Gretsch also brought onstage Atkins’ teary-eyed friend, Paul Yandell. At the conclusion of the program, guests were invited to take an exclusive advance tour of the Chet Atkins: Certified Guitar Player exhibition which officially opens to the public on Friday, August 12. 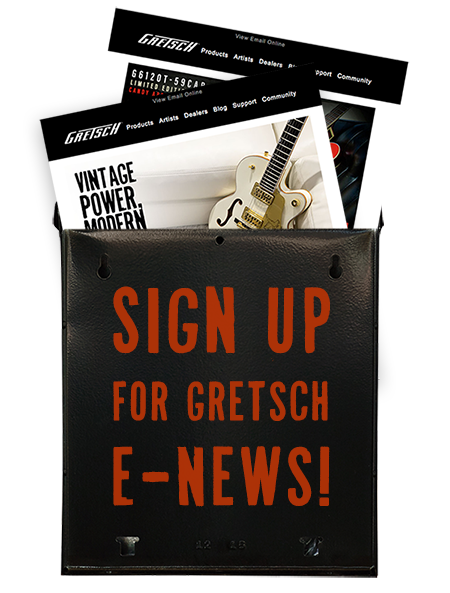 The Gretsch Company joins the Great American Country Television Network as proud supporters of the new exhibit, which is scheduled to run through June 11, 2012. The exhibition will be accompanied by an ongoing series of programs throughout its duration. For details on this grand opening weekend events, click here.